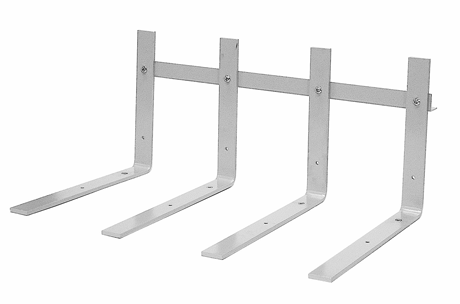 Four, 25” long, 19” high, 2-1/2” wide x 1/2” thick solid steel forks quickly mount to the BK44 or BK45 Material Bucket with eight locking bolts. Great for carrying, logs, trees, rocks or other awkward loads! Requires drilling of 8 holes in bucket.